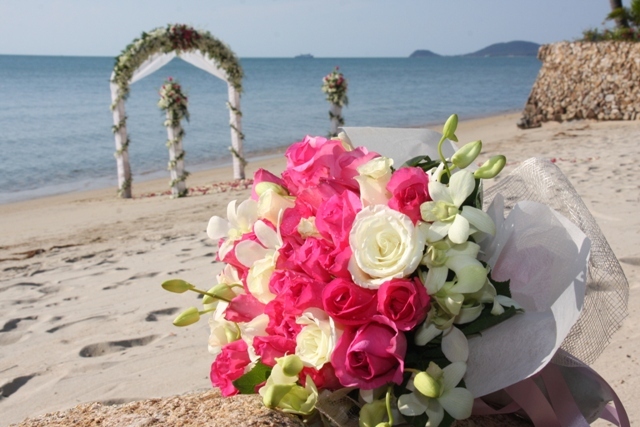 What's the perfect compliment to your beautiful beach wedding? 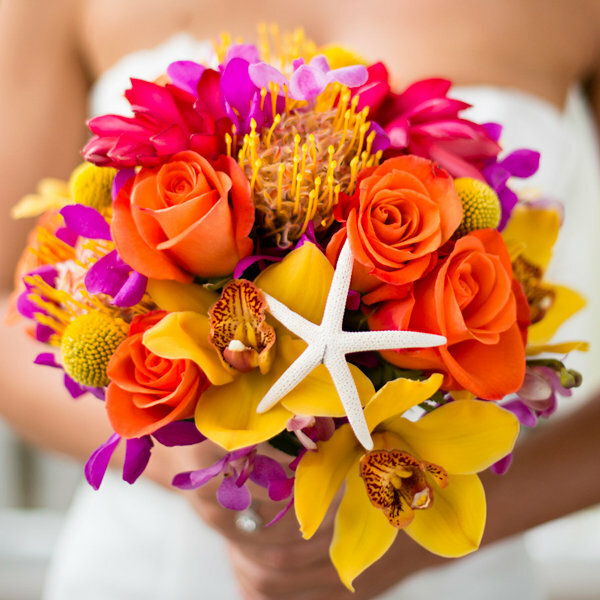 Your beautiful wedding bouquet!! Imagine the colors of a tropical sunset, right in your hands!